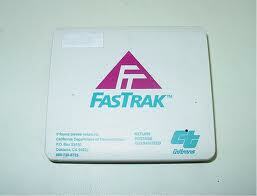 In California, we have an electronic system for paying bridge tolls called Fastrak. When you sign up you get a little device that traditionally people install on their windshield near their rear view mirror. I typically drive on the bridges once or twice a month and have never mounted the transponder on any of my cars. I typically have pulled it out of the center counsel and thrown it on my dashboard to hear the “click” when the system connects to the transponder. This method has worked fine for all of my cars including the Tesla Roadster. Interestingly though, this method has not worked with my Model S. I have tried three different transponders, one of which is brand new, along with four different locations in my Model S to no avail. I tried the classic location of on the dash several times and never heard the tell tale click. I also tried three other locations: once holding it at the top of the windshield near the rear view mirror, once in the frunk near the nose cone, and once I had someone hold it up out of the open panoramic roof. None of these methods worked. I still suspect I may have an ungrounded wire somewhere in my car. I knew the connections failed because I did not hear the click but also by looking at the Fastrak record online. I asked Tesla about this and they said that their windshields have a UV laminate that makes Fastrak difficult to use. But this does not explain the results of my last two experiments. 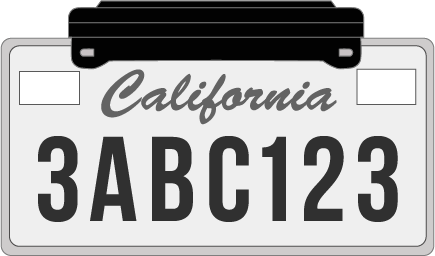 Fastrak does offer an external mount transponder for the front license plate as shown in the picture below. Fortunately for the bridges, they take a photo of your license plate and connect your account in this manner. This situation will not work for the toll roads however because there are no cameras.